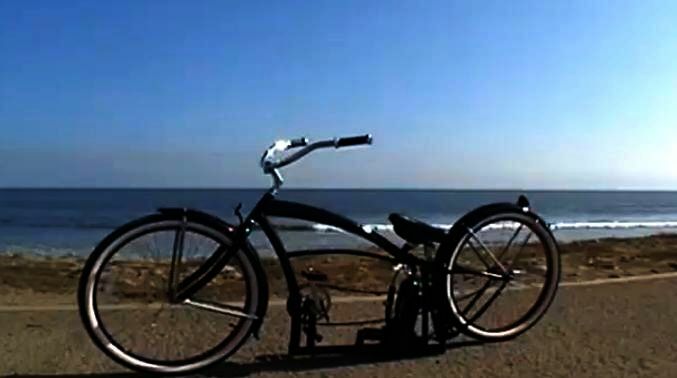 Custom Beach Cruiser Bicycle with Air Suspension from Down Bikes on Vimeo. Custom Cruiser Bikes. Chopper Bicycle style available, Rat Rod Hot Rod Motorcycle Bobber style red rims & white wall tires. Air Ride Suspension. Rat Rod Bicycle – Entirely new hobbie.